Gibson Dunn | Offenhartz, Adam H.
Adam H. Offenhartz is a litigation partner in the New York office of Gibson, Dunn & Crutcher. He is a member of Gibson Dunn’s Securities, Mergers & Acquisitions, Intellectual Property, International Arbitration and Insurance/Reinsurance Practice Groups. Mr. Offenhartz focuses on mergers and acquisition battles, related shareholder class and derivative actions, board disputes, trade secret and restrictive covenants fights and valuation, appraisal and earn-out disputes. He regularly advises investors, directors of public and private companies, special board committees and stockholders on various litigation related topics. Mr. Offenhartz also has an active domestic and international arbitration practice with an emphasis on insurance and reinsurance disputes and cross-border issues. He has also handled a number of regulatory, disciplinary and ad hoc proceedings. Mr. Offenhartz regularly represents plaintiffs/claimants for whom he has recovered substantial sums or achieved significant injunctive relief. 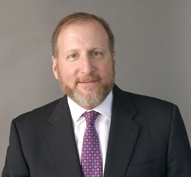 Mr. Offenhartz was named a 2011 MVP in securities litigation by Law 360 for his work in corporate control and shareholder class strike suit litigation, and has been recognized repeatedly as a leading litigator in Benchmark Litigation: The Definitive Guide to America’s Leading Litigation Firms and Attorneys. Mr. Offenhartz joined Gibson Dunn in 1989 after earning his Juris Doctor from the University of Chicago Law School. He is a graduate of Harvard College, where he received a degree in American History and Literature. Marriott International: Defended Marriott Hotels against expedited litigation seeking to prevent the combination of Marriott and Starwood Hotels. Won a rare early dismissal for Marriott on aiding and abetting claims in Maryland State Court at the close of the initial court conference. Transatlantic Re: Represented Transatlantic and its directors in litigation brought by hostile bidder and shareholder plaintiffs alleging breaches of fiduciary duties in connection with the potential merger or sale of Transatlantic. Won key victories before Delaware Chancery Court in which the Court refused to grant plaintiffs’ motions to expedite proceedings and to set a preliminary injunction hearing date. Also filed an action in Delaware Chancery Court that forced hostile bidder to withdraw invalid proxy materials. These victories stopped the hostile bidder’s and plaintiff’s lawsuits in their tracks and paved the way for a successful negotiated transaction between Transatlantic and another bidder. Also brought an action in federal court under the securities laws against the hostile bidder. Outside director of ChinaCast: Represented an outside director of ChinaCast in obtaining a rarely granted TRO from the Delaware Chancery Court postponing an annual meeting so that our client could run a competing slate of directors. With the TRO in place and the meeting date moved, our client’s director nominees were elected to the ChinaCast Board of Directors. Tenet Healthcare: Represented Tenet in successful defense of unsolicited takeover offer from Community Health Systems. Less than one month after Tenet filed a complaint against Community alleging misstatements in Community’s proxy solicitations, Community withdrew its takeover proposal. Also defeated efforts by plaintiff shareholders to obtain expedited discovery and to schedule a preliminary injunction hearing date regarding breach of fiduciary duty allegations in Nevada state court. The court subsequently granted Tenet’s motion to dismiss the shareholder complaint in its entirety before any discovery. iBasis Inc.: Represented iBasis in connection with an all-cash tender offer made by its majority shareholder Koninldijke KPN N.V. (“KPN”) for all of the outstanding shares of iBasis. Litigated the case through an expedited trial, but before the Delaware Chancery Court issued its ruling, KPN agreed to increase its tender offer price to $3.00 per share and the case settled. The offer price represented a 130% premium for shareholders over the closing price of iBasis shares on the last trading day prior to the announcement of KPN’s tender offer, and nearly a 100% increase from KPN’s initial offer price of $1.55 per share. Delcath Systems: Represented Delcath in successful defense of consent solicitation by an activist shareholder to replace the entire board. Despite receiving sufficient shareholder votes, the activist investor was prevented from replacing the board with its nominees because of the various restraining orders and the preliminary injunction we won in the U.S. District Court for the Southern District of New York. Atlantic Coast Airlines: Lead securities litigator in successful effort preventing an unsolicited takeover by Mesa Airlines. We initiated litigation in the U.S. District Court for the District of Columbia seeking to enjoin the consent solicitation and tender offer. Mesa brought claims against Atlantic Coast in Delaware Chancery Court. Following extended document and deposition discovery, we amended our federal complaint to include antitrust claims. Following even further expedited discovery and a multiday evidentiary hearing, the Court enjoined Mesa’s bid. American General, an AIG Company: Successfully defended client against misappropriation of trade secrets and breach of confidentiality claims seeking over a billion dollars in damages in the U.S. District Court for the Southern District of New York. Following extensive discovery, motion practice and numerous court hearings, plaintiffs dismissed the action with prejudice shortly after the close of discovery. Chartis Warranty, an AIG Company: Obtained broad preliminary injunction in aid of arbitration in the Delaware Chancery Court preventing former business partner of client from using the client’s trade secrets and confidential information. Winning the injuncation paved the way for a successful resolution for the client during arbitration proceedings. General Growth Properties, Inc.: Represented General Growth Properties (GGP) in a multiday arbitration against the heirs to the Howard Hughes estate with respect to development rights and valuation and earn-out provisions. After the liability phase of the evidentiary hearing, the arbitration panel ruled in favor of GGP on six of seven of the heirs’ claims, and, with respect to the seventh claim, found a technical breach and awarded $1 in damages. Texaco (now Chevron): Represented Texaco (now Chevron) in an international arbitration before a United Nations arbitration panel that sat in Geneva, London and Washington, D.C. which resulted in a $550 million award arising from damage to oil facilities during the first Gulf War. Chevron obtained the largest award granted to any U.S. corporate claimant. The award has been fully satisfied. Leading international insurance organization: Represented clients in a reinsurance arbitration arising out of an auto warranty program that resulted in a $90 million recovery. Mr. Offenhartz has handled UNCITRAL arbitrations in Brazil and New York; ICC arbitrations in London, Paris, Vienna and Zurich; and has supervised litigation and investigations in Argentina, Brazil, Ecuador and Thailand. Vista Outdoors: Represented client in high-stakes earn-out dispute we initiated against the sellers of a business Vista acquired. Following expedited discovery, won summary judgement in the U.S. District Court for the Southern District of New York on affirmative claims and dismissal of defendants’ counterclaims. The Court of Appeals for the Second Circuit affirmed eight days after argument. These rulings are now leading opinions addressing the implied covenant of good faith and fair dealing under NY law. Staffing company: Represented staffing company in successful effort to enjoin four former employees and a competitor from working together in violation of certain non-compete and related provisions. Handled the case through four hearings before the U.S. District Court for the Southern District of New York and an emergency appeal to the Court of Appeals for the Second Circuit. Case settled with defendants agreeing to broad injunctive relief and making a significant payment to client. Handled a similar matter for a large professional services firm with similar success in winning injunctive relief. Confidential client: Represented client during a three-week jury trial on copyright infringement and Lanham Act claims in U.S. District Court for the Southern District of New York. Case resolved favorably for the client immediately before jury deliberations. Client Alert - June 3, 2016 | Delaware Court of Chancery Awards 28% Price Increase to Stockholders Who Dissented from 2013 Management-Led Buyout of Dell Inc.